In the past 24-48 hours, the chess world has been buzzing with the news of Kirsan Ilyumzhinov’s resignation. 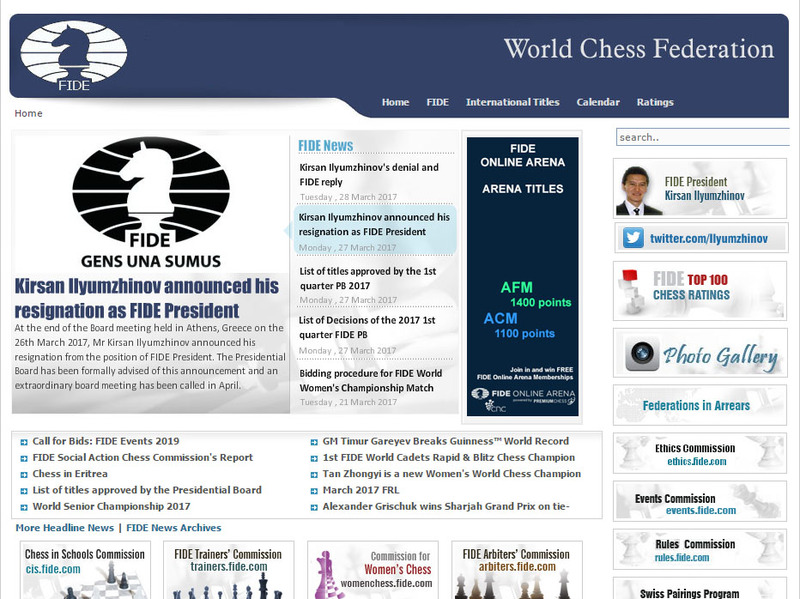 The news was reported on the FIDE website, and many chess organizations ran the story as well. Literally hours after the news broke, Ilyumzhinov’s personal assistant Berik Balgabaev called it “fake news” and that no official documents had been signed. Translation: “Meeting of the FIDE Presidential Board. 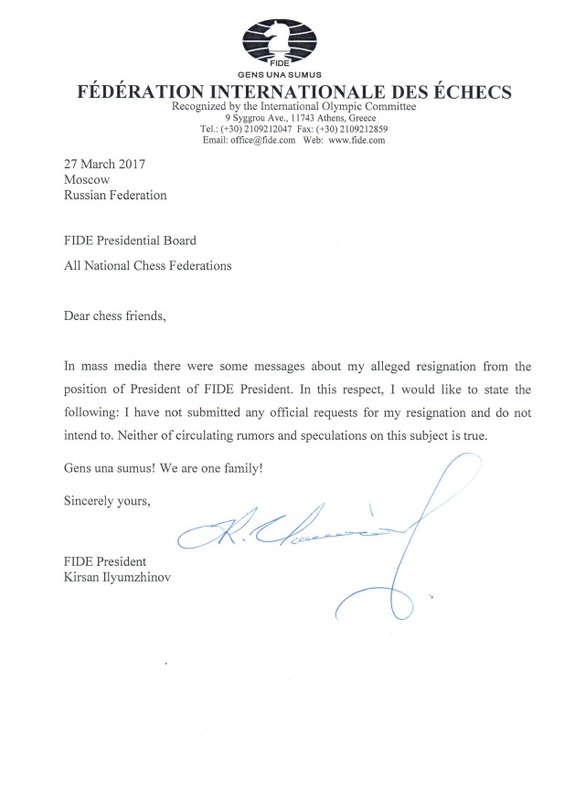 The FIDE President offers to temporarily suspend his powers until the following Presidential Board”. The suspension was precipitated by his sanctions levied by the U.S. Department of Treasury. There was a bizarre conspiracy posited that Garry Kasparov had involvement with sanctions. Despite his withdrawing from duties of FIDE President, Ilyumzhinov appeared at events in a Presidential capacity, including the recent Women’s World Championship in Iran. The truth of the matter is that FIDE has been in limbo and is suffering from tremendous brand erosion with his sanctioning. … after which Freeman recounted the events. This was followed by Ilyumzhinov’s reassurance to federations that he had not stepped down. 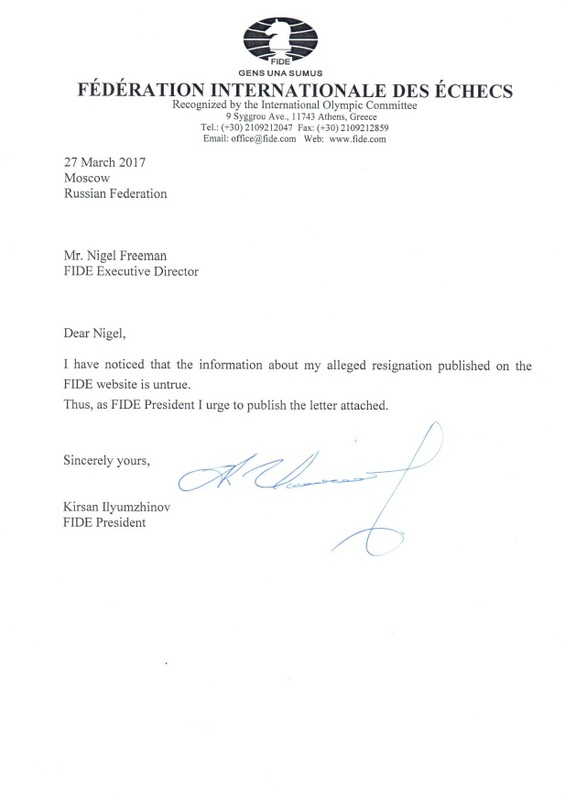 These documents were found in a FIDE post titled, “Kirsan Ilyumzhinov’s denial and FIDE reply.” If indeed, Ilyumzhinov uttered “I resign” three times, is this enough to tender a resignation? What is the formal procedure? Was Ilyumzhinov pressured into resigning? Is this an “unscrupulous struggle for power,” as Anatoly Karpov calls it? 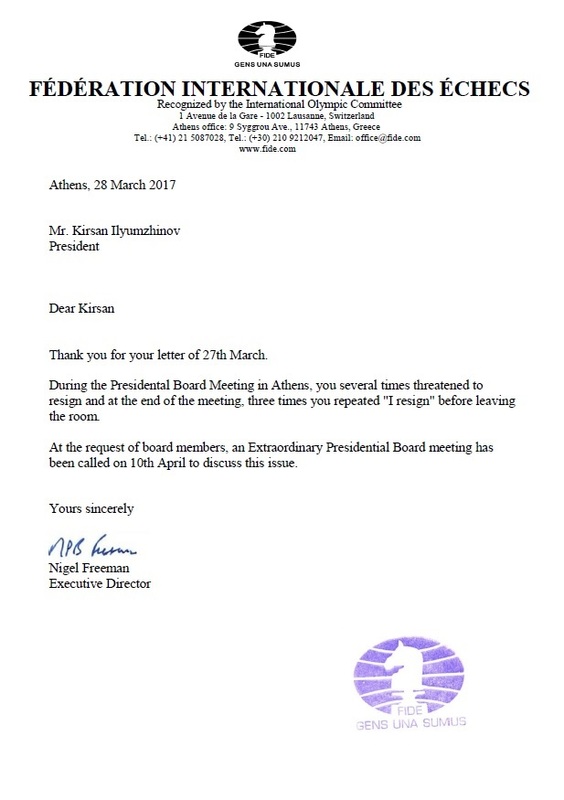 FIDE has become silent, but an extraordinary President Board Meeting has been called on April 10th to discuss the matter. Ilyumzhinov blames the United States Chess Federation (U.S. Chess) for the controversy. He is apparently referring to the recent political tensions between the countries and the sanctioning months before the World Championship held in New York. In an interview with Evgeny Surov’s chess-news.ru he stated that he is President until September 2018 when the next elections will occur. Another statement from Ilyumzhinov is forthcoming and will most likely be posted before the April meeting.